The Sargent Vapor Steam Cleaner was born in 1993 when founder Joyce Mathie become fed up with her inability to clean her house properly with everyday gadgets and chemicals and decided to find a solution of her own. Steam proved to be the answer to her cleaning woes and cut her cleaning time and effort in half while fully eliminating the need to use harmful chemicals. It is a heavy duty steamer that can be used for everyday home cleaning but also for commercial and industrial purposes. It is durable, versatile and built to last up to 20 years. Yes, it is built to last! The water tank is made from stainless steel and takes 2.2 quarts of water. The filler bottle with a handy spout takes one quart and will need to be filled twice to ensure correct water levels – you will never have to guess at the amount of water you need to use again. It will take 10-12 minutes to heat. The green indicator light will go on and the pressure gauge will be on maximum when it is ready for steaming. You will be able to steam for between 1,5 and two hours – more than adequate cleaning time for most tasks. The boiler reach temperatures of 300 degrees while the wand tip will reach temperatures of up to 250 degrees Fahrenheit. Such high temperatures will ensure true sanitizing and that germs and bacteria won’t stand a chance of survival. 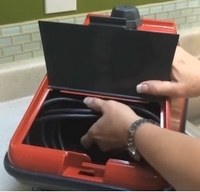 The electrical extension cord is stored in a build in storage compartment. It has a working pressure of 50 to 68 PSI. You can choose between low, medium and high pressure settings. 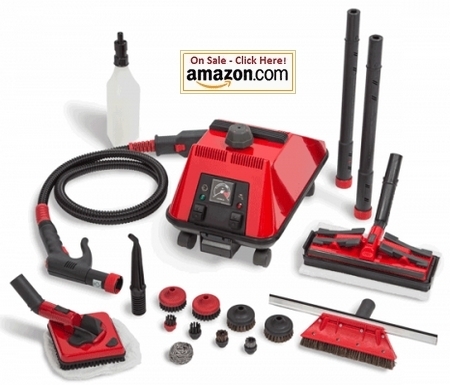 Every kind of attachment and accessory that you might need are included: hose, 2 extensions, nozzle, 14 inch squeegee, floor and diamond brush, 8 different smaller brushes, water tank filler bottle, scrub bud, several cloths and a How to Video that will ensure that using this steamer is a breeze. As an added bonus you get a booklet filled with handy tips for cleaning with steam. The Sargent Vapor Steam Cleaner works like a dream. No more harsh chemicals and endless scrubbing with unsatisfactory results. It uses regular tap water. There is a plug at the bottom of the machine that can be removed to drain away minerals. It is recommended to do this after every 3-5 uses and eliminates the need to use distilled water as in other steam cleaners. The after care for a S’argent is excellent. Their website has a wide choice of tutorials you can look at to show you how to tackle every possible cleaning problem you may run into. Their technical support is top notch and you will be dealing with real people who actually care about their product and reputation. They are based in Salt Lake City, Utah and can be reached on this number; 1-800-748-7832 if you ever need to consult with a repair technician. 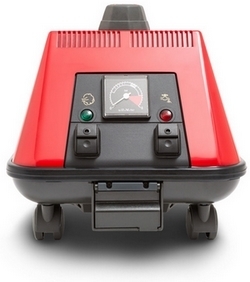 The only real negative I could find for the Sargent Vapor Steam Cleaner is that it is an expensive buy, but if you consider that it is was made to last for around 20 years it turns out to be a budget buy. Do your sums and you’ll be surprised how much you can save.